This sample code shows how to get property information about reply to or grouped annotations annotations added to a PDF document. This functionality was open in the public API in v2017R1.1 in jPDFProcess library. // Does this annotation have an IRT parent annotation? // Is this a grouped annotation? // Is this a reply annotation? 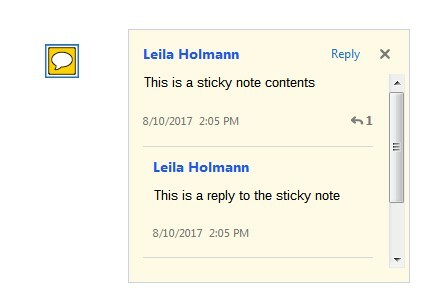 This is showing a reply to annotation to the main sticky note annotation (as shown in Adobe Reader). These 2 annotations as shown in a PDF viewer are grouped. Annotation that reads “Annotation Group 2” is grouped with annotation that reads “Annotation Group 1”, which is the parent IRT annotation.